SAN DIEGO -- When the same refrain comes up time and again, you suspect a trend. Jim Cerveny certainly noticed it as the words "I ended up sitting in the stands," tumbled from his mouth for at least the third time, followed by a long sigh. One might think from the constant repetition that Cerveny has spent most of his life watching the sports of track and field and cross country. It's probably true, but only because he watches a lot more track and cross country meets these days. It wasn't always that way and, since he continues to coach and officiate at age 79, he's still involved at the hands-on level. 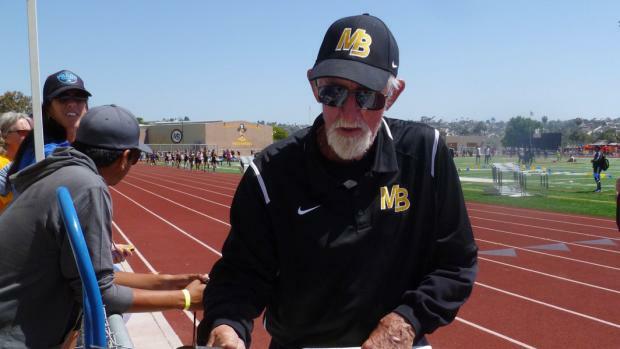 This is a former California State Meet and USATF (then AAU) National champion who worked two Olympic Games and quite simply, is the go-to guru if you want to get anything done regarding track and cross country in the San Diego area. But about the only way you'd have heard of Jim Cerveny is if you're involved in running or maybe if you want to enter your team in a track meet and noticed the Jim Cerveny Invitational which will be in its third year this spring. His impact is unquestioned, at every level. Prevented from competing by his doctor until his sophomore year at Mission Bay High, Cerveny finally got cleared but only to run. No jumping, no throwing. "It changed my life," said Cerveny. "I'd played (tenor sax) in the marching band in the fall and nothing hurt. I ran track and then cross country-it was only 1.9 miles back then. I started riding my bike and still ride 50-60 miles a week. "I made the CIF finals in the B division 1320 as a sophomore and finished third. I made the state finals in the half mile as a junior but it was the fastest 880 in state history and I finished sixth (in 1:55.4) and didn't medal." That would set up the 1957 state championship in Berkeley where the undefeated Cerveny let the others lead but when he turned on the speed the final 100 yards, no one could keep with him as he ran a then-state record 1:52.7. It was a special day for two reasons. "I bettered the record 1:52.9 run by Don Bowden but later that very same day, he became the first American to break the 4-minute mile barrier," said Cerveny. "We became friends and when I saw him I told him that was his day and my day." The next stop was Occidental College, which he called "an East Coast school on the West Coast." Since he was a freshman, the NCAA rules then were you couldn't compete with the varsity, so at the Coliseum Relays he ran a 1:50.9 880 in a race run on grass, which is still the school record and probably always will be. He won the AAU title in 1960 as a junior at 1:48.8, qualifying for the Olympic Trials at Stanford University. "My coach told me he didn't want me to lead," recalled Cerveny of the preliminary round. "But no one else led. We ran something like a 65-second quarter-it was terrible. I was in last place and finished fifth, but they only took the top three. "The next day I sat in the stands and watched the team that would go to Rome." Cerveny said he turned the disappointment into determination and his senior year was a clear favorite in the NCAA meet in 1961. He qualified easily, went to dinner-and got food poisoning. "I tried jogging on the grass but was sick as a dog," he said. "I watched the finals from the stands. Two weeks later, as the defending AAU champion, I ran but with 200 meters to go, my legs were gone. I watched the finals from the stands there, too." That fall he ran cross country but also decided he'd play wide receiver on the football team. He enjoyed the experience and got another big-time memory. "I tell people, honestly, that I played in the Rose Bowl," said Cerveny with a chuckle. "I did play in the Rose Bowl, just not the Rose Bowl GAME. At the time Cal Tech played its games in the Rose Bowl." Cerveny's running career was over but he started coaching and sharing his love of the sport with both men's and women's teams as the head coach at San Diego State as well as assisting at schools like San Diego Mesa, Cuyamaca College, Morse High, Lincoln High and even now is an assistant cross country coach at San Diego City College. 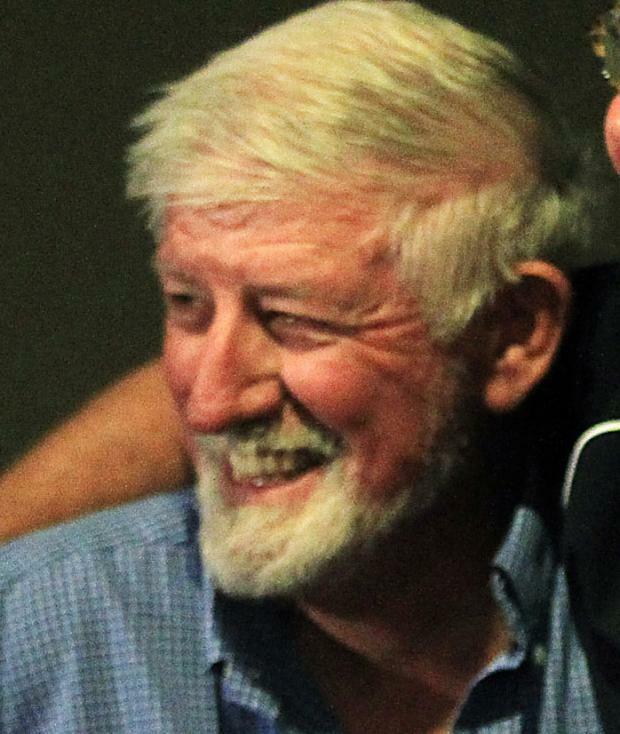 Since 1962 he also has been a prominent member of the officials' association. His two Olympic Games experiences included marking the field for the throws and jumps in Los Angeles in 1984 and being in charge of officials' housing in Atlanta in 1996. The highlight, though, was winning the National AAU title in Bakersfield in 1960. "I won the biggest race of my life two weeks too soon," said Cerveny, recalling his Trials disappointment. "But finally, 45 years later, with the help of (University City High coach) Jimi McCarthy, I got on the Olympic track in Rome and ran two laps. "When I finished, I cried my eyes out but I had finally accomplished my goal."